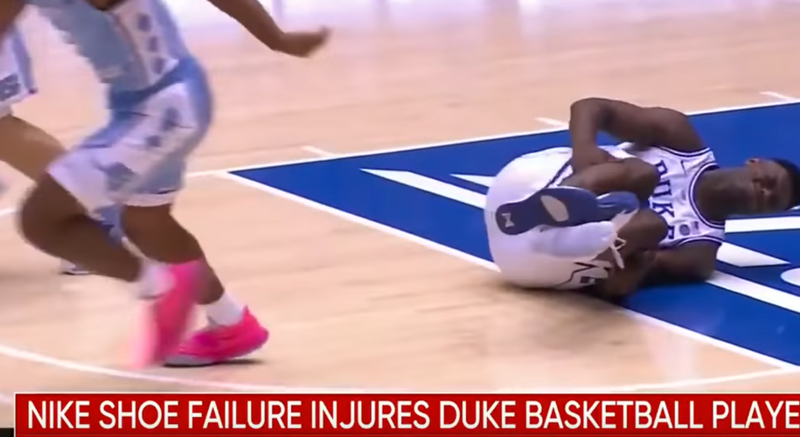 Highly-touted Duke University basketball star Zion Williamson’s Nike shoe fell apart during a nationally-televised game Wednesday night against arch-rival North Carolina. The Direxion Daily Consumer Discretionary Bull 3X ETF (NYSEArca: WANT), which has about a 5 percent weighting in Nike, was down 0.71 percent. Conversely, the Direxion Daily Consumer Discretionary Bear 3X ETF (NYSEArca: PASS) was up 1 percent. PASS seeks daily investment results equal to 300 percent of the inverse of the daily performance of the Consumer Discretionary Select Sector Index, which is provided by S&P Dow Jones Indices and includes domestic companies from the consumer discretionary sector. On the other hand, WANT seeks daily investment results equaling 300 percent of the daily performance of the Consumer Discretionary Select Sector Index. WANT is capitalizing off a strong start to 2019 for U.S. equities and is up about 32 percent year-to-date. Willamson appeared to dribble drive and then plant to change direction, but the Nike-branded shoe fell completely apart. Things got disconcerting when the 6-foot-7, 285-pound Willamson crumpled to the floor and clutched his right knee. After the 18-year-old phenom exited the game, North Carolina went on to secure a 88-72 victory, but all media attention went to the health of Williamson. The star is projected to be the first overall draft pick in this summer’s National Basketball Association’s draft. Duke and Williamson fans were able to collectively breathe a sigh of relief as Duke basketball head coach Mike Krzyzewski told reporters Williamson suffered a “mild knee sprain.” There was no definitive timetable on his return, but from the early diagnosis, it appears that he dodged catastrophic injury.